Time Traveller. 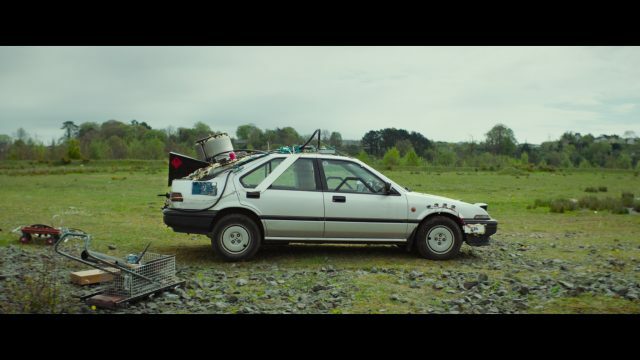 A short film by Steve Kenny tells a story about an ethnic minority group in Ireland and the power of imagination. Hollywood, CA (The Hollywood Times) 10/15/2018- Irish travelers are an itinerant ethnic group who maintain a set of traditions. they live mostly in Ireland as well as comprising large communities in The UK and The US. Traveller rights groups have long pushed for ethnic status from the Irish government, finally being officially recognized in 2017. Short film Time Traveller explore the importance of imagination and family on the social political background and the issues these people have to deal on a daily basis. It was an enlightening experience for me to talk to the writer/director of Time Traveller and find out more about the community, filmmaking and his work in general. First of all congratulations with all the recognition Time Traveller is getting. It’s very important to make inspiring films in this day and age. What prompted to write and direct it and how hard or easy was the journey from the moment you envisioned it to the moment it was completed? Irish Travellers are an indigenous ethnic minority in Ireland with a rich culture and strong identity but they are frequently maligned and tend to face a lot of discrimination. I had wanted to tell a story set in the Travelling community for a long time. Most on-screen portrayals of Travellers tend to focus on the more sensationalist aspects of Traveller culture but we were keen to tell a story that was about family and the strength it can give in the face of adversity. Then quite separately, I’ve been obsessed with the Back To The Future films since I was a small child and the DeLorean has always occupied a fond place in my childhood memory. So when I had the idea to combine these two sensibilities, things just sort of snowballed from there. In terms of the project’s journey, I wrote the script pretty quickly once I had the idea and we were very fortunate to secure backing from Screen Ireland quite soon after. It’s certainly not always the case with a short film but on Time Traveller, the stars seemed to sort of align in terms of how well things came together. The cast and crew that we identified early on were all into the story and able to fit it into their schedule. Being able to collaborate with such a talented group of people made the process incredibly smooth as well as fun and greatly contributed to the quality of the final film. Time Traveller is your second short and you have quite a bit of success with your first short too. Did you ever had doubts or fear that your work won’t be recognized? Ha, all the time! I’m still in a relatively early stage in my filmmaking career but I’m constantly wondering if the next thing I do will be any good, constantly searching for that next idea to throw myself into. All I can do is keep writing, keep making things and hope that it will lead me towards my ultimate goal which is to make feature films that audiences will enjoy. Time Traveller portrays very precious and sweet connection between father and son, is the inspiration behind it personal? I’m certainly very close to my dad but equally so with the other members of my family. Their support and the close relationship we have together makes up a big part of who I am and I guess some of that always comes through in the things that I write or make, no matter what type of story I’m setting out to tell. How important in your opinion is imagination and an ability to keep that childish innocence inside us throughout our lives? Well as someone who’s trying to make a career out of it, I would hope very important! But in all seriousness, I think that’s why stories about childhood imagination and innocence are so universally popular when they manage to capture the essence of it. Even as an adult, it can take you back to a time and place when the world was still full of possibility and wonder. It’s a powerful thing and it’s our privilege as filmmakers to be able to continue playing in that world. Did you run into any challenges during the filming process and how did you deal with that? Shooting the scene where the father, John-Paul tows Martin and the DeLorean around the field at high speed was definitely the most challenging. It’s the type of high-octane scene I grew up loving but shooting it on a relatively small budget meant using a lot of techniques I’d never used before. We used a drone, stunt driver and stunt double for the tracking shots across the field and for the rest of the shots we used a combination of wind machines, clever camera work and a lot of bouncing up and down on the front and rear bumpers to simulate motion. I was anxious to see how it would all knit together but thankfully it turned out well. The cast is brilliant- what is your process when you work with actors? With experienced adult actors like Barry Ward or Denise McCormack, I think what’s most important is to cast someone who buys into the story and who is roughly on the same page as you about what the character wants and needs. It doesn’t have to be an exact match and the great joy of directing is collaborating with actors who uncover things that you as a director may not have seen yourself but once you cast someone who you think is right, I think it’s mostly about standing back and trusting in their ability to bring the character to life, with some little adjustments from me along the way. With kids however, the process is different and especially with a first time actor like Tom Doran, who plays Martin, you’ve got to find a different way to help get across your ideas and to steer their performance towards what’s right for the story. There’s no formula for this but again I think casting right is key. We spent months auditioning kids until we found a boy we thought was right for the role in Tom. It’s difficult, for young kids especially, to ‘act’ in the same way as adults and when they do you usually get a performance that feels incredibly unnatural and stagey. Instead, I think it’s far better to look for a kid who already embodies the role so that all you’re asking is for them to be themselves and from there your job as a director is to keep them engaged with all the chaos of a film set going on around them. We didn’t give Tom a whole script to learn but instead I would explain the story to him as we went, keeping it as simple as possible and having patience for the time it would take for him to get the lines right. I think what’s most important when working with child actors is that you do whatever it takes to make it enjoyable for them, sure they’re working but still kids – it needs to be fun. Apart from Back To The Future are there any other movies that inspired you? Lots as I have a pretty broad range of influences in terms of the type of films I watch. 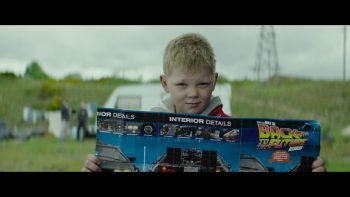 Clio Barnard’s The Selfish Giant and The Boy With A Bike by the Dardenne brothers helped inform the portrait of a headstrong young boy living on the fringes of society. I’m a big fan of the Martin McDonagh which probably comes through a little in some of the dialogue and the humor. Mostly though, it was those family movies of the 80s and 90s, like Back to The Future or E.T or The Goonies, which take their young protagonists on an emotional journey that is directly related to their family situation. What the future holds for you? Any exciting projects you’re currently working on? I have a couple of projects in the works, chief amongst them being my debut feature which is a horror-mystery set in a rural valley in the West of Ireland. I’m also developing my first TV series about a small town that becomes overrun by characters from Irish fairy folklore in the wake of the disappearance of a teenage girl. Previous articleWale, a compelling short film, makes you wonder how much one past mistake can hold us back.